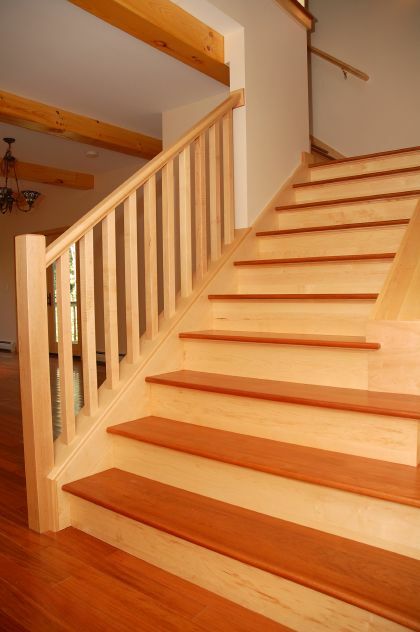 These custom hardwood stairs are made of Maple with Brazilian Cherry treads. My favorite ones so far !! !